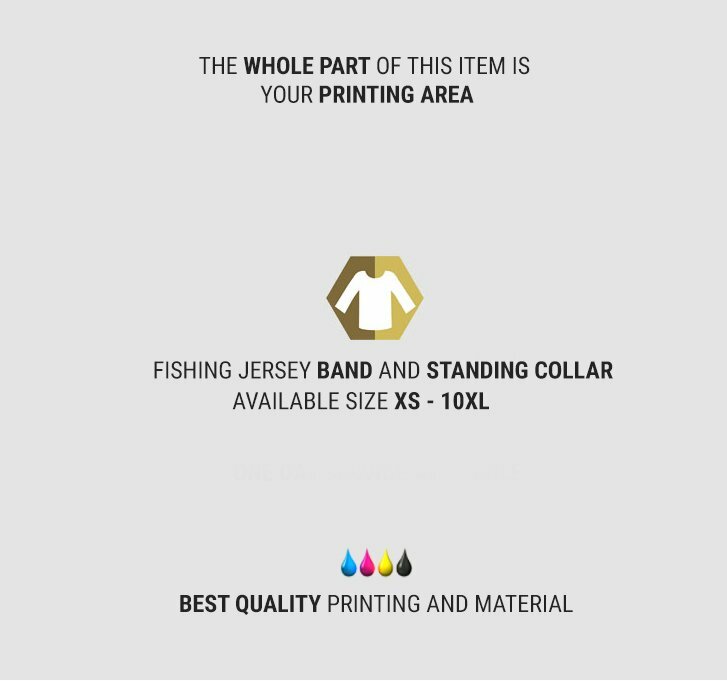 Fishing Jersey Printing. 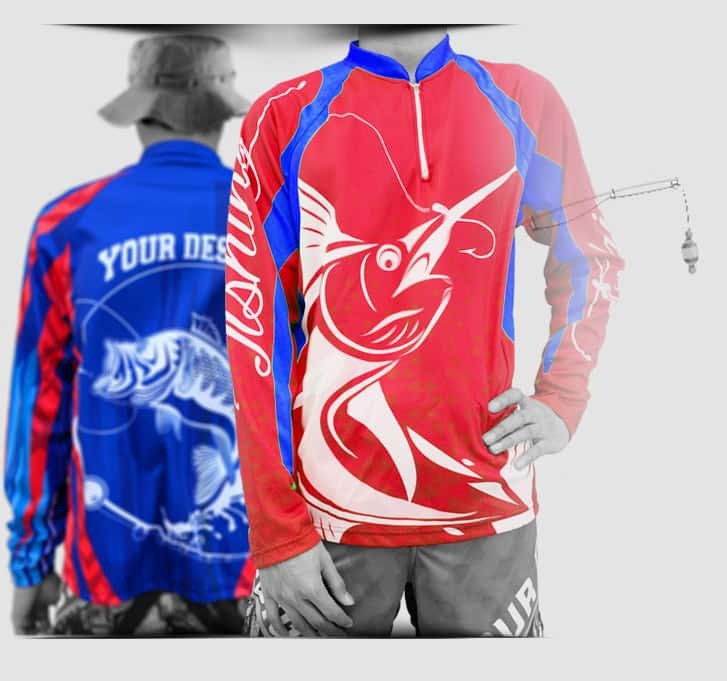 Custom Maker Fishing Shirt. 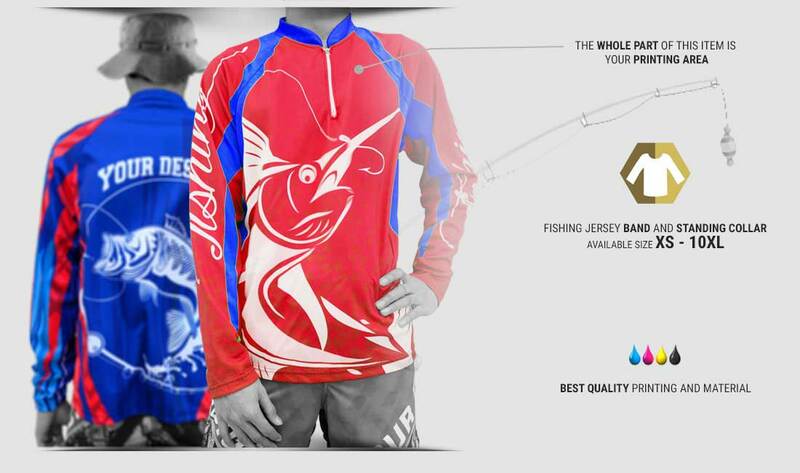 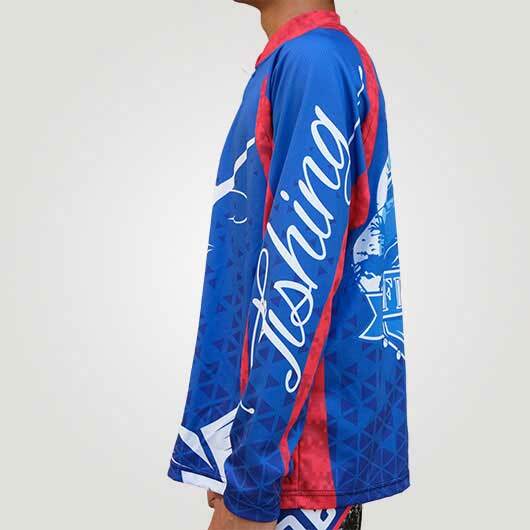 For you fishing lovers, we present you a quality fishing jersey. 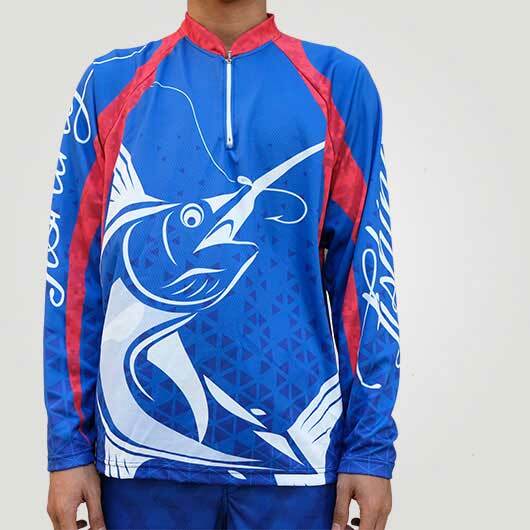 Your fishing hobby will be more exciting when you wear our fishing shirt. 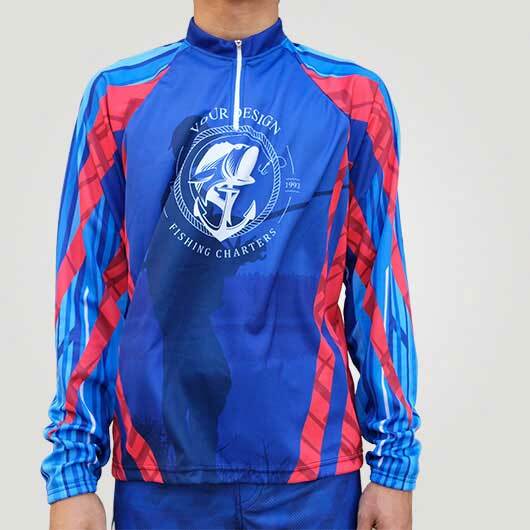 Available in some fabric choices and you can choose based on your preference such as Microfiber (mixed polyester, spandex, and nylon), doff color fabric, a bit thick, not transparent, fall following the body, soft and porous texture which is cool when it is worn; then we have Hivetex (polyester), a think doff color fabric, not transparent, stiff following the body, soft and hexagonal pores texture, high water absorption that makes it fast drying. 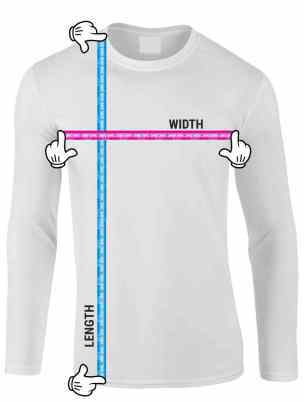 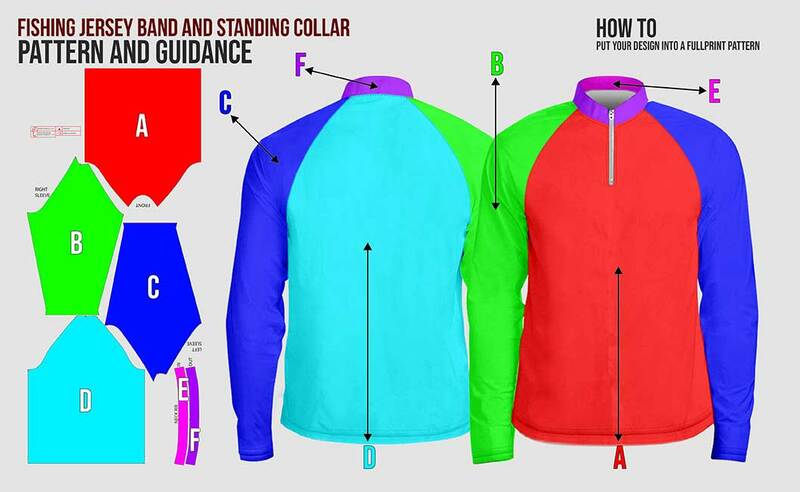 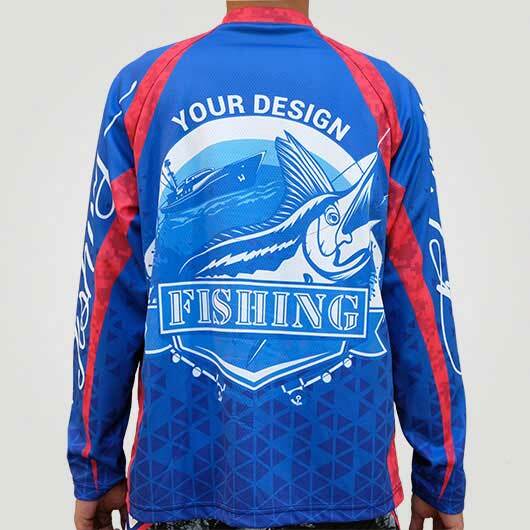 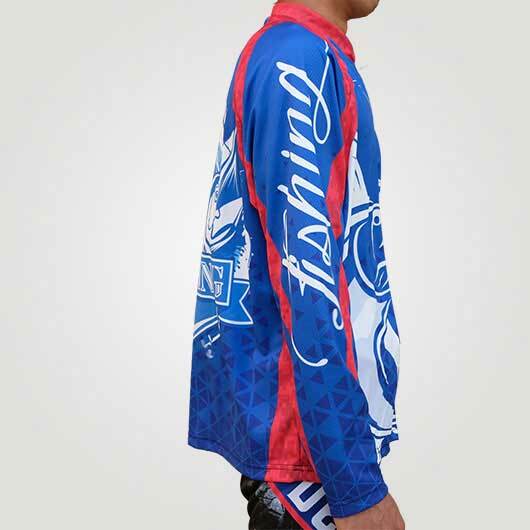 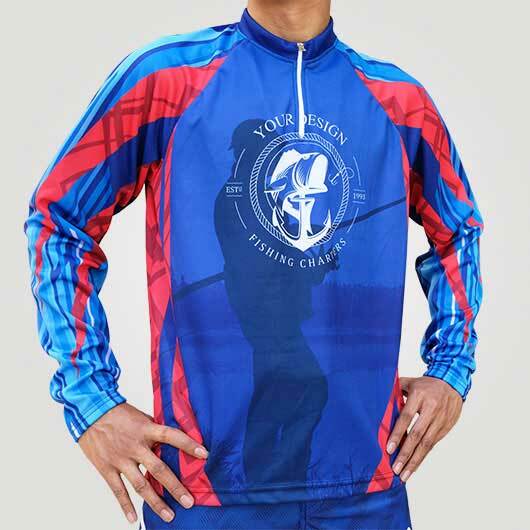 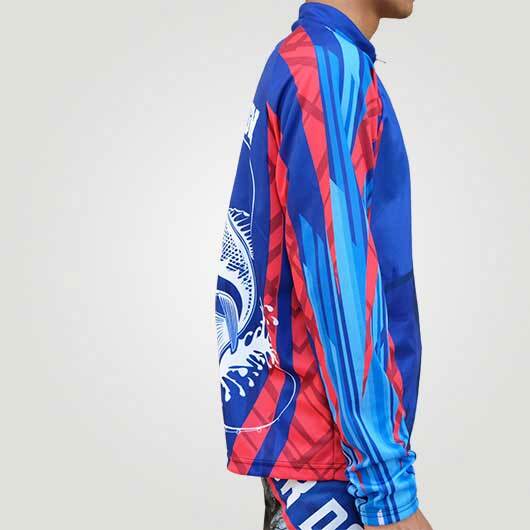 You can design your own fishing jersey by adding any fullprint graphics and color you like. 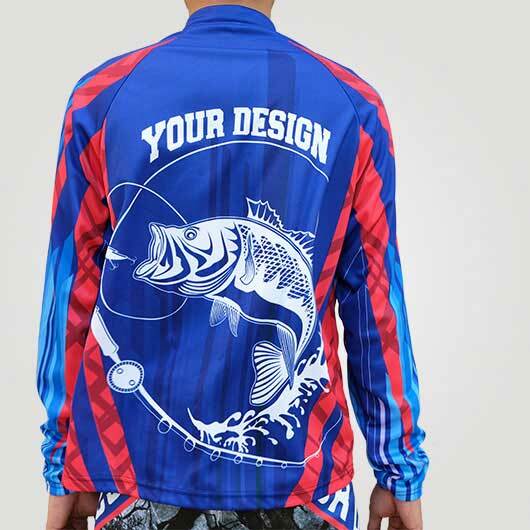 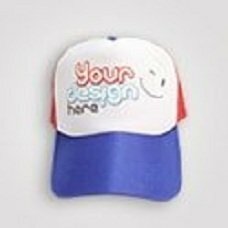 With the ability to choose your own material, you will feel more confident in styling while fishing.